You have all heard me mention how I enjoy receiving new CDs…And I was especially looking forward to this one because I know the quality of work that Gary Allegretto puts out. However…I was blown away by Allegretto Espinoza!!! From “First Rodeo” to “Cripple Creek” I couldn’t stop listening. Gary Allegretto has 4 original songs and Ian Espinoza has five and there are 4 additional cuts. They run the range from upbeat, fun songs to blues and ballads and others in between! I assure you, you will like all 13 songs! My biggest problem now is deciding which I’m going to play on my next show! The CD features Gary’s harmonica and Ian’s guitar and National Steel Guitar and they are both such good musicians…and both have such good voices! They are joined by Gabe Witcher on fiddle, Paul Eckman on Upright Bass and Tom Corbett on mandolin. There’s a lot of musical talent on this CD! 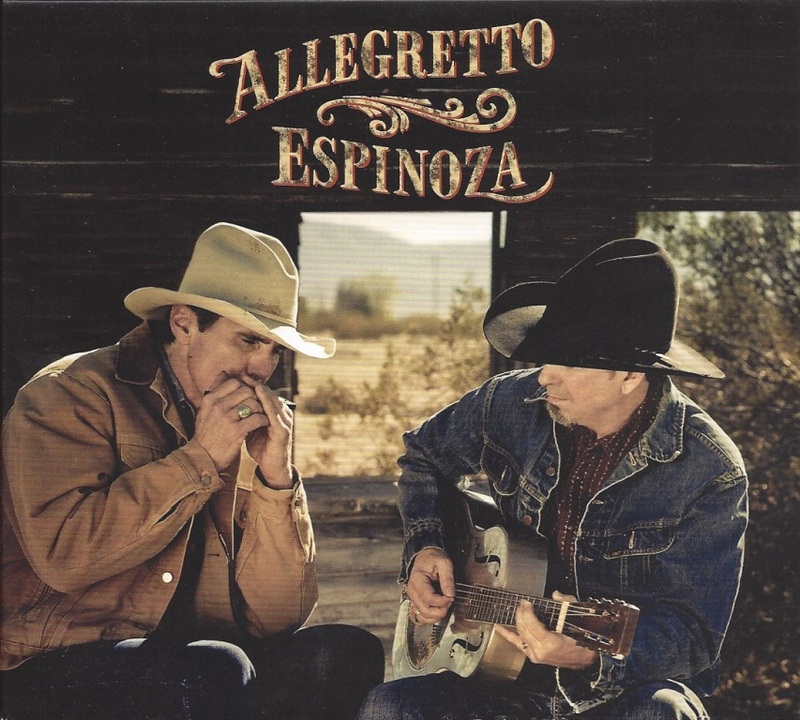 Allegretto Espinoza with Gary Allegretto and Ian Espinoza is available at CDBaby.com or contact them at info@allegrettoespinoza.com.